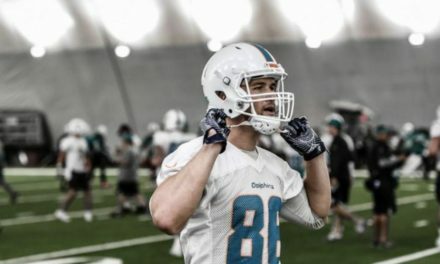 I had the opportunity to interview Miami Dolphins Super-Fan Chris Barker to see what he thought about this years team and the upcoming season. Q: What made you become a Dolphins fan? How long have you had season tickets? Barker: Watching Dan Marino made me the fan that I am today and I have had season tickets since 1997. Q: What do you think of training camp so far and how was Saturday’s scrimmage? Barker: Saturday’s scrimmage was great to see, it actually felt like a “true game” out there. As far as training camp, I love watching guys battle for roster spots, and so great to have #17 back too. Q: Give us one offensive and defensive player you feel is ready to break out this season? Barker: I expect both Cameron Wake and Frank Gore to both ball this season. Q: Who will be the offensive and defensive MVP of the team this season? Barker: I would have to say, Kenyan Drake and Cam Wake. 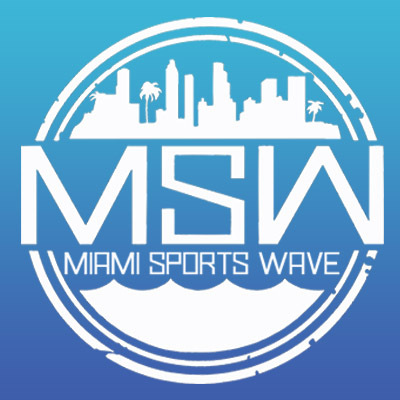 Q: Who are your favorite Dolphins player (not named Marino) and favorite coach (not named Shula)? Barker: I would go with Cam Wake and Adam Gase. Q: What is your most memorable moment at a Dolphins game/event? Barker: Watching the Dolphins absolutely destroying the Jets a few years ago at MetLife. Q: What do you think the Dolphins record will be at the end of the season? 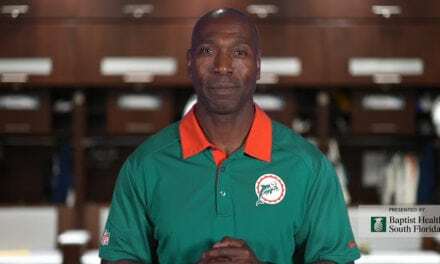 Q: If you could bring one player from any other team to the Dolphins who would it be and why? Barker: Rob Gronkowski because he’s a sick TE. Q: Most fans either support RT17 or they don’t where do you stand? Is RT17 your guy at QB? Barker: I support Ryan Tannehill to the fullest period. Q: What is your favorite and least favorite stadium that you have visited? Is there one stadium you haven’t been to that you absolutely want to visit? Barker: Buffalo is my least favorite stadium, their fans are disgusting pigs, sad but true! Dallas is my favorite away stadium, and I have never been to the Raiders stadium in Oakland due to the horrible stories I’ve heard about their fans. Q: What do you think about head coach Adam Gase? 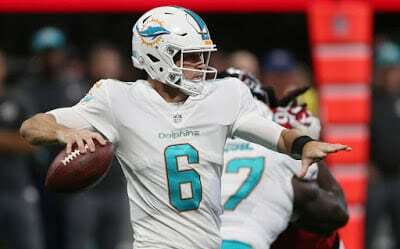 Barker: I have all the confidence in the world, in Adam Gase. Q: If you could change one thing about Hard Rock Stadium what would you change and why? Barker: I would have to say, I would love to have put a retractable roof over the stadium, just to keep bad weather from getting inside. Q: What are you most excited about for the upcoming season? Barker: I LOVE all of the new additions we have and having #17 is key too. Q: Who has been your favorite rookie out of this draft class so far? Barker: Minkah Fitzpatrick, guy has speed! Q: What do you think it takes for the Dolphins to regain the AFC East Championship and finally finish above New England? Barker: Just stay healthy, MUST not play from behind, more trips to the end zone rather than field goals.